Home Blogs Bouncers Featured Najam Sthi Pakistan Pakistan Cricket Board Is Najam Sethi’s ‘chiriya’ ready to take flight? Is Najam Sethi’s ‘chiriya’ ready to take flight? Professional sports are run seriously elsewhere in the world but in Pakistan they are taken for granted and anybody who has spare time is welcome to try his hand in the business. Cricket in the country has become a surprise for quite a while and has experienced things so funny that nobody could have ever imagined. The national team’s victories and defeats both are unpredictable and the surprises within the Pakistan Cricket Board (PCB) are mind-boggling. As fans were still reeling from the shock of team’s performance in the Champions Trophy, they got another surprise after the tournament when renowned journalist Najam Sethi was made PCB’s acting chairman just a month after his stint as Punjab’s caretaker chief minister. It is yet to be decided as to what was the bigger surprise – Zaka Ashraf electing himself as the board’s chairman for a four-year term or Sethi’s appointment for the post. However, the appointment of Sethi is as illegal as was the election of Ashraf because the Islamabad High Court (IHC) did suspend the former chairman but not the board’s constitution. Under the constitution, the members of governing body can nominate any of their member as chairman within 45 days. But the government named Sethi as the board’s supremo who boarded to London to participate in ICC’s annual meeting. Sethi's appointment has been challenged in a court and the Transparency International has also warned of the illegal appointment. But on the other hand, ‘Aapas ki Baat’ host is releasing strict orders with smiling face and warning PCB officials that his unnamed source, which he often refers to as ‘chiriya’ (sparrow), is informing him of every development. There are observers who believe that the aura of confidence Sethi had while taking the charge as PCB chairman was never witnessed before. Sethi has the powerful hands of present government on his back, which helped him acquire the top-notch position. Links with eminent politicians and experience of chief ministry have their importance, but in the PCB – where even big guns found it difficult to survive – Sethi’s ‘chiriya’ will not take long to take a final flight. Addressing a press conference as PCB's acting chairman, Sethi said he was not there to play a long innings and that he would quit when his short innings would be over. If he wanted to make his innings short, he needed to make some big hits, but now it seems that the acting chairman needs to safeguard his wicket because a yorker in the form of court’s decision can break his wickets. Sethi’s appointment is not the first instance of government’s intervention in the PCB. Past governments also showed favouritism by appointing their dear ones at the top. But the appointment in question by the government that has been making decisions in haste and with perplexity is going to cost him soon. The ICC had given the deadline of June 30 to all its member boards to install democratic setup free of government’s interference. Keeping this in view, Zaka Ashraf managed to elect himself as the board’s ‘constitutional’ chairman just two days before the general election which was challenged in the court. The incoming government showed sheer idiocy to appoint Sethi as PCB’s acting chief because the board’s current setup is neither democratic nor constitutional. That is why Pakistan will likely to face suspension from the ICC as soon as July starts, and unfortunately, nobody is considering this aspect. The ICC is also now aware of the Sethi episode after Transparency International raised the issue. Let’s see how the anchorman convinces the council in this regard because cricket in Pakistan would go further down if the country’s membership was suspended. So Sethi – who entered the ground to ‘enjoy’ a short innings – now faces a monumental task ahead about which he was unaware of before taking the charge. Critics say that Sethi’s chiriya will fly shortly from Gaddafi Stadium because of the unconstitutional appointment. The journalist also does not want to see his chiriya caged in the stadium which provided him with the news from the echelons of power. 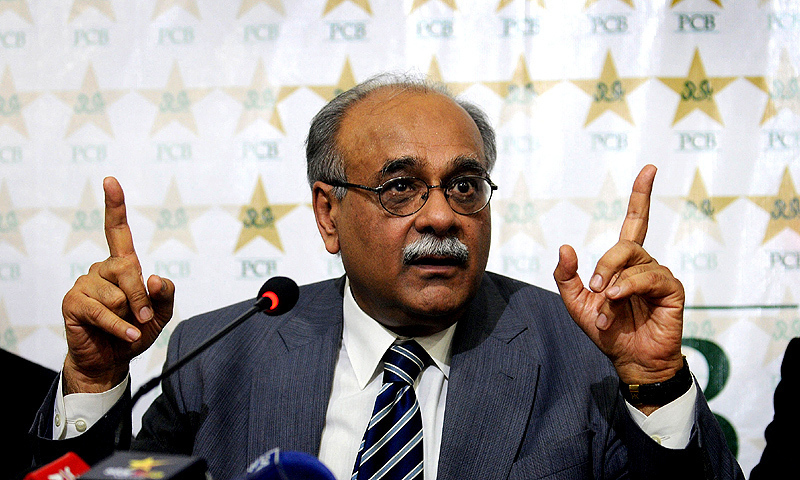 Sethi actually wanted to leave the PCB headquarters after a brief period just as he ‘served’ briefly as Punjab’s chief minister, but now he has to perform his duties seriously as the board’s acting chief because it is not out of question that the government gives his appointment a democratic colour after which Sethi – who has been planning to play a T20 – would have to play a Test match.